Success is a hard word to define and even harder to achieve. Everyone’s definition may be different, and still we debate on God’s viewpoint. However, in my ministry I believe I have been called, not to make sure every student has reached the destination (because we know that that is a lifelong pursuit), but to understand how to read the map God has given them along the way. 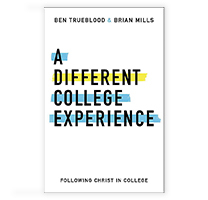 We all feel the burdensome dilemma of students who meet Christ in 12th grade and then move 4000 miles away in 6 months without having the opportunity to move through what we would call an adequate discipleship process. This makes success frustrating to work towards. Students must be able to work out their own salvation so that their faith is not contingent on anyone other than Christ and His Word (Phil. 2:12-14). From the unimportant to the unforgettable, giving our best reflects what we think about Christ and His calling on our life (Col. 3:23). I believe that if every student could understand these two things they would be equipped to not only share the Gospel, but to actually live it out in their daily lives. I believe that successfully implementing those 2 principles make for a successful student ministry. Make Time to Pray – Now I know that this sounds like an easy answer, but it doesn’t take long to realize that the busyness of ministry, ironically, fights for our prayer life. I am guilty of it myself. We expect prayer to simply change the heart of God and those around us, but people don’t seem to be changing and God seems to have a different plan. We fail to realize that prayer is designed to change the heart of the one praying before it changes anything else. It is crazy to think that we can put up with the pressure of ministry, find the passion to love people in spite of themselves, and realize how broken we are, unless we spend time consistently in prayer. Prayer aligns crooked hearts, mends open wounds, gives strength to weary arms, and refocuses blurry eyes. Prayer may not always change the students, parents, and volunteers you cannot seem to reach, before it will impassion your heart toward investing in them whether you realize it or not. 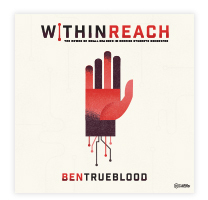 Teach the truth clearly – I once heard a great pastor say that, “Just because the water is muddy doesn’t make it deep.” It can be tempting to measure the depth of a message by the amount of Greek we explain or how impactful our illustrations are, but remember that a clear truth-filled action step gives your students a plan, not just a show. In a world that is governed by 15 second videos and 140 character posts, meeting students where they are means clearly communicating God’s Word in a way that they can apply in their lives. True simplicity comes only after we have waded through complex waters and found ourselves on the other side. Information should always point to transformation. Weekly Parent Emails that inform and encourage parents. Parents are not always worried about whether they can create a deep friendship with you, but most want to know that they can always contact you if they need anything. Use social media wisely. I heard from a student whose family I had never met before, that he was allowed to come to a morning Bible study at the church because his mother “knew” me from seeing everything on my social media account. Birthday, encouragement, or ‘just because’ mail. In a digital world it may be unnecessary to send handwritten notes, but it makes receiving them that much more special. Don’t let first time guests go unnoticed! Enough said. 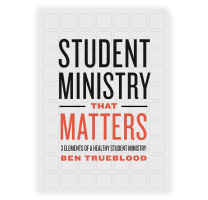 Encourage Everyone – Sometimes we can lose sight of making sure that every student knows they are the most important aspect of ministry to you. Sometimes this means a phone call, other times it is simply making sure that no student leaves without a hug, handshake, or other statement of importance. I once heard a student pastor say, “We would be foolish to assume that students are told that they are loved at home.” You and the leaders around you may be the only people that are truly showing each student that God loves, values, and desires to know them beyond the surface level. This principle should extend to each one of your volunteers as well. God has sent each person who serves with you for a specific purpose, and we must remind them of their worth in Christ weekly. Encouraged people change the world because they are lights in the darkness. Be open to criticism – This may sound crazy, but ever since I was a volunteer I have always told my leaders and students that, “…if it doesn’t work, no one is doing anyone else a favor by not telling me.” If we could do it on our own we wouldn’t need anyone else, so don’t be afraid of the opinions and concerns of those around you. Granted, that’s easy to say and hard to do, but students and leaders don’t need someone with all of the answers, they want someone who will work through the problems with them. Not every problem and concern warrants a change in your ministry, but most people simply want to be heard. I know what you’re thinking, “If I give everyone that kind of green light, my inbox will never be empty!” But truthfully we all know most people who will abuse this offer, will do it anyway. You have less to lose than you think and more to gain that you realize. A chance to voice opinions gives students and leaders ownership, value, and vision to reach the students that God has called you to shepherd. 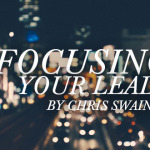 These are 5 things I do to be successful in Student Ministry each week, perhaps you will find they help you in your Student Ministry setting as well.